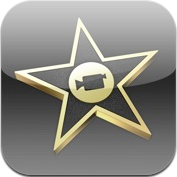 With the iPhone 4 capturing 720p, Apple announced iMovie for iPhone so you can shoot, edit and upload HD movies right on the iPhone. There are many features including: transitions, text and music. However, this app is only available for the iPhone 4 so don't go download it if you have only got a 3GS. Go here to download it for $4.99. See the WWDC demo video below. iPhone 4 Has Signal Problems?